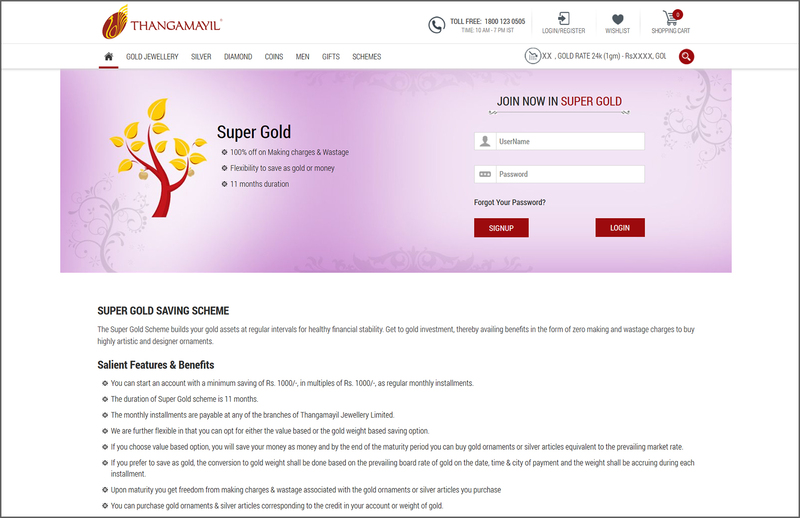 Thangamayil, one of the largest jewellery retail chain of India is implementing a slew of gold saving schemes in the interest of welfare of the customers. While caring for the layman ensuring the payment process is simple, we also extend support for a variety of payment options - both online and offline. You are welcome to join any scheme that interests you by walking in to any of our showrooms. The schemes namely My Gold and Smart Gold do not require any payment from your side as they deal with the old gold jewellery deposited by customers. All other schemes may involve a one time payment or few monthly installment payments . We congratulate you on enrolling in the gold saving scheme(s), which continue to benefit several thousand customers. Thangamayil has greatly simplified the remittance of payments by holding out a wide range of payment options. Just walk into any of our showrooms and pay the installment / one time payment via Credit / Debit card / Cheque (Post Dated Cheque or Current Dated Cheque). There are no transaction charges for the above mentioned modes of payment. You can visit any nearby vodafone store or mini store and make payment. Accepted modes are cash, credit and debit cards. No transaction charges apply. You need to provide the first 14 digits of your saving scheme code. You need not surf the net to locate your nearest vodafone store/mini store and can readily obtain this information from Thangamayil sales outlets or via a call to our toll free customer care number “18001230505”. An exclusive bank transfer account number(Virtual Account)shall be provided for each of the scheme you join, upon your request. You can transfer funds from your bank account to this virtual account. Important note: Please do not use IMPS service to transfer funds. What is the difference between post dated cheque and current dated cheque? It is mandatory to assign dates to cheques as undated ones are considered as invalid. The validity period of the cheque is three months in India. It cannot be encashed by the receiver beyond this period. Let us simply illustrate the difference between current dated cheque and post dated cheque with an example. Lets assume the current date to be 1.01.2018 and you are issuing a check to another party on this day. If you write the date on your cheque as 1.01.2018 it is termed as current dated cheque. Suppose you are presenting a cheque dated 15.01.2018 on the same day(1.01.2018), it is considered as a post dated cheque. The cheque will be encashable only on 15.01.2018 and afterwards. In this case, the cheque is referred to as post dated cheque. Few account holders used to sign the cheques along with dates and sometimes, the date along with signature may be different than the date of the cheque and in this case, the banker has to go by the date of the cheque only and not the date of the cheque along with the signature. 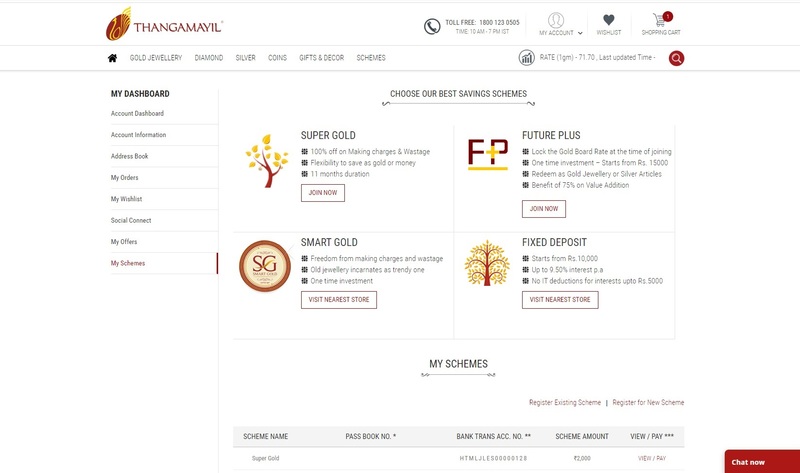 Before delving into online payment methods, let’s first be clear with the simple procedure for joining various gold saving schemes online. The schemes namely My Gold and Smart Gold require you to visit our stores as they involve a one time deposit of your old gold jewellery. You can join rest of the schemes i.e., Super Gold, Future Plus and Fixed Deposit either online or by walking in to your nearby store. If you prefer to enroll online, you will be required to sign up a user account with us.However, please note that, payment doesn’t require registration/logging in to your account. There are 2 ways to join the scheme that interests you. 1. 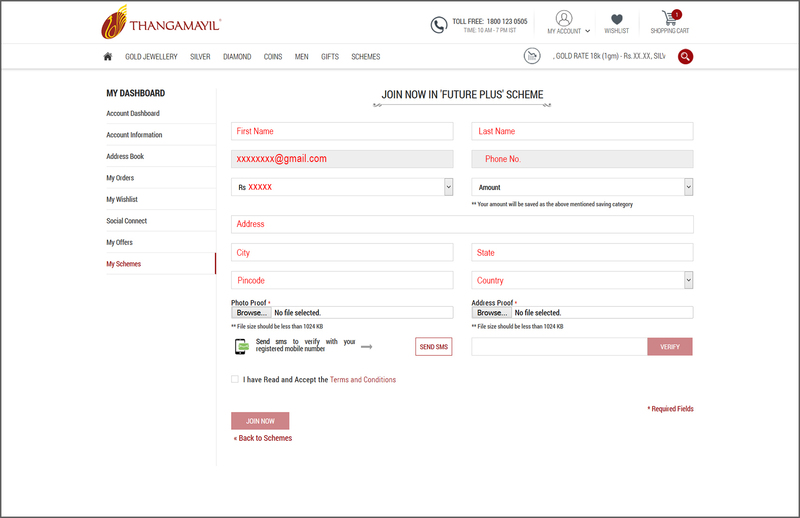 You can join the schemes from the respective Scheme page which can be accessed from the home page. Links to sign up and log in have been provided in the page. If you access scheme pages when your user session is active(after logging in), a link leading to the online form for joining the scheme shall appear. i) ‘My Schemes’ page using the two links highlighted in red. For joining in another scheme of different type(In this case it is assumed you are already a member of a savings scheme), use the second link. In the page that comes through, the available schemes are listed. You can join the schemes you prefer using the ‘Join Now’ button. Fill in appropriate values or provide inputs for each field. Once you complete the mobile verification and click ‘Join Now’ you will receive a unique passbook number sent to you via SMS within an hour or two. Kindly retain this number safely for all future correspondences related to the scheme. 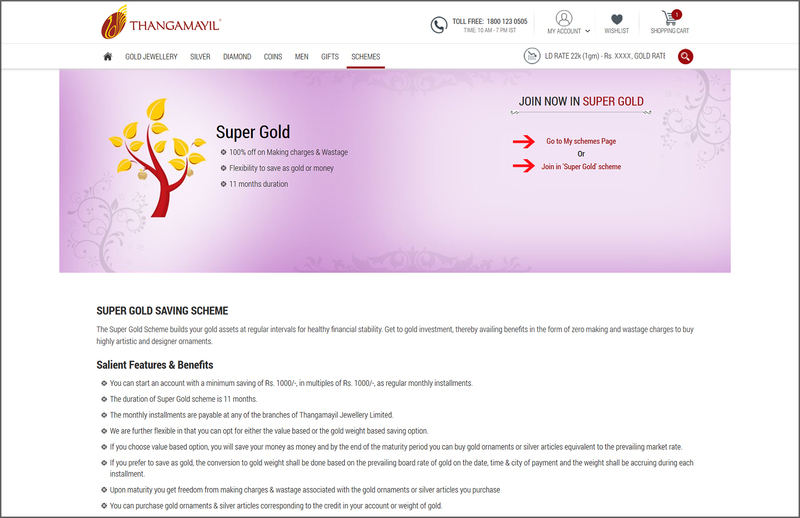 For joining in another scheme of existing scheme type(For example if you are already a member of Super Gold and interested in joining the same scheme again),use the first link(in My Schemes page) that reads “Register Existing Scheme”. You will be prompted for passbook number, which was sent to you via SMS within an hour or two after your joining of the previous scheme. 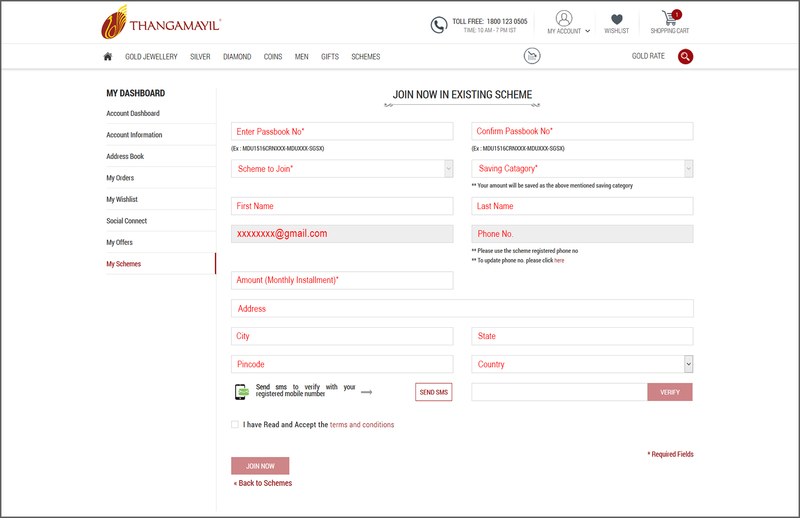 Input the required values and register yourself. You will be required to pay the first installment at the time of joining the scheme. Savings can be done either as Amount/Gold weight. Uploading Photo proof as well as Address proof for verification is mandatory. Once your mobile number is verified and you give your consent to join the scheme, you are all set to go! Once you complete the mobile verification and click ‘Join Now’ you will receive a unique passbook number sent to you via SMS within an hour or two. Kindly retain this number safely for all future correspondences related to the scheme. 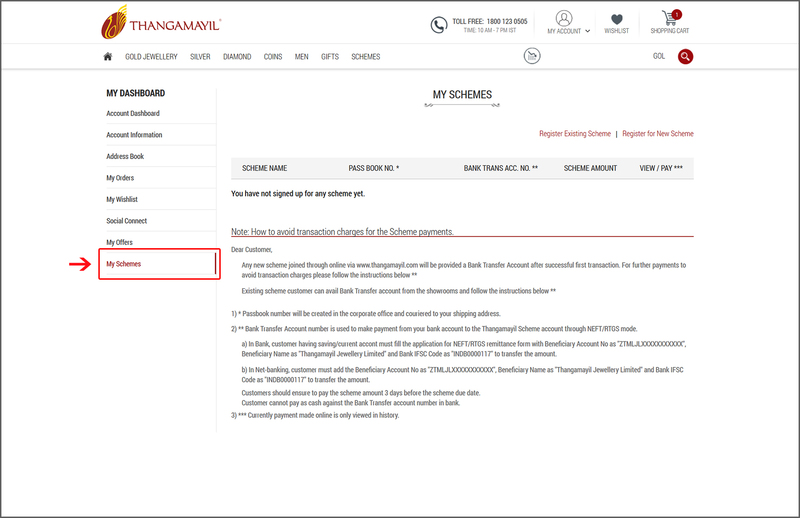 There is no obligation to create an account for payment through our website. Hover the mouse over “SCHEMES” menu found at the top of the homepage. 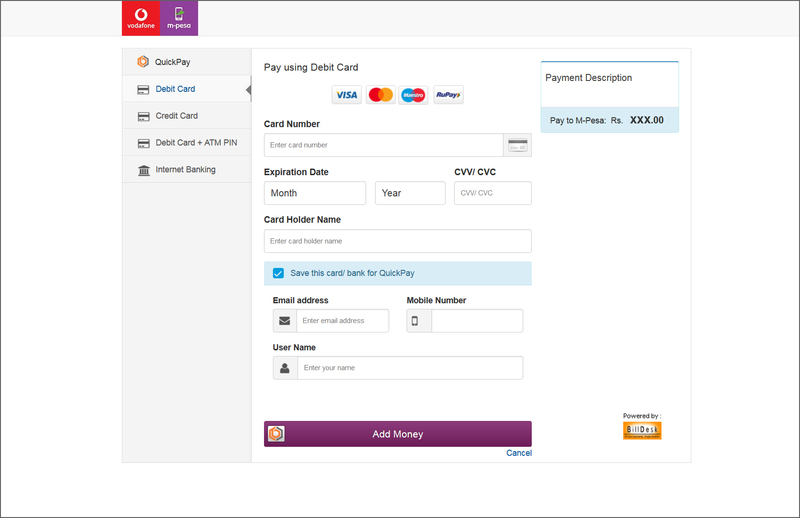 Now click the sub-menu “ONLINE PAYMENT”. Enter your Passbook number & Mobile number. Check the entered amount before clicking “Pay Now”. Payment through Credit / Debit Card / NetBanking are not associated with transaction charges. Click LOGIN/REGISTER link found at the top right of the home page. 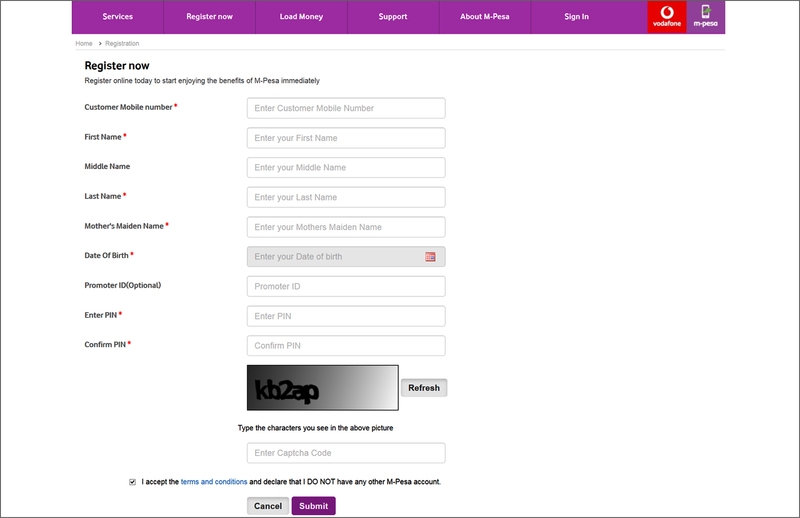 For the first time, register yourself as a customer by filling in the simple details asked for. 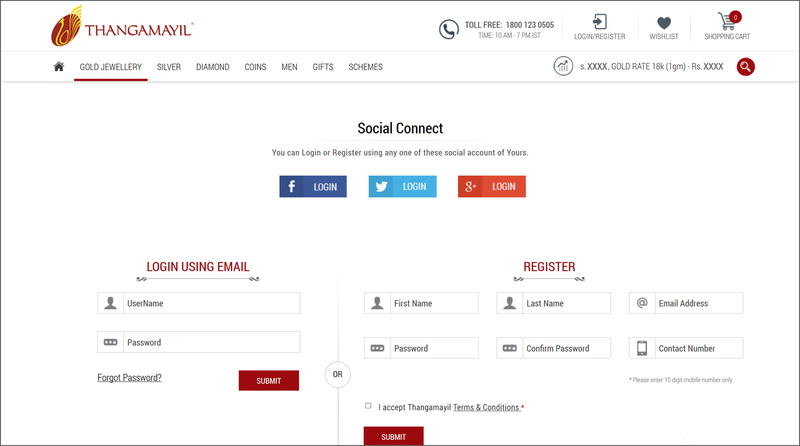 Now login as a registered customer from the same page. Click “My Schemes”. You will find two options namely “Pay to New Scheme” and “Pay to Existing Scheme”. If you are about to pay the first installment click the first option and click latter if you are to pay the successive installments. Enter your passbook number twice, verify the amount entered and click “Send SMS”. Key in the OTP received and click “Verify” button. Now you are just a step behind making payment. 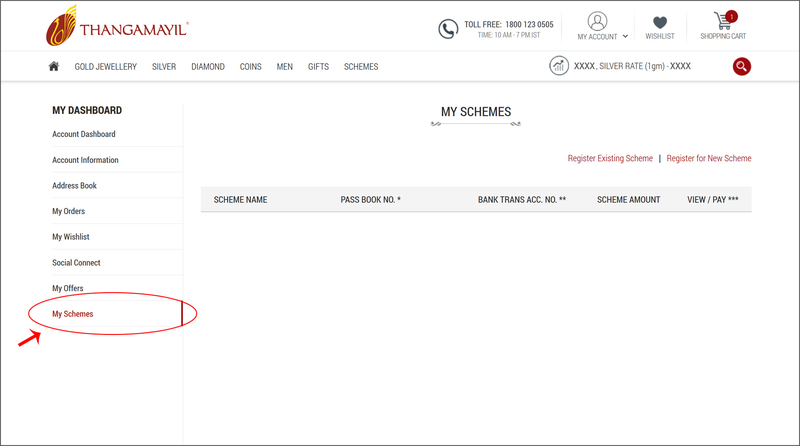 Click the ‘Pay Now’ button in ‘My Schemes’ section. You can pay by using Credit Card / Debit Card / Net Banking without running into any additional transaction charges. Install the M-Pesa App in your mobile. It will be available for download from Google Play Store / App Store. You will be prompted for details like your name & mobile number, mother’s name, Date of Birth along with PIN number(of your choice). This App is developed in such a way that first money has to be deposited to its wallet and then transferred to any third party. 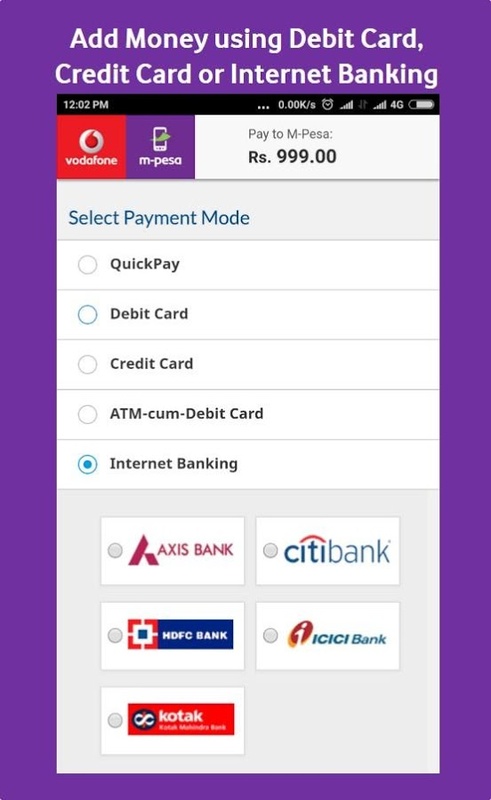 Accordingly, accumulate sufficient money in the wallet via ‘Add Money’ section by Credit Card / Debit Card / Netbanking. After entering the above information click ‘Pay Now’ button. The amount paid will be credited as investment in the corresponding saving scheme. 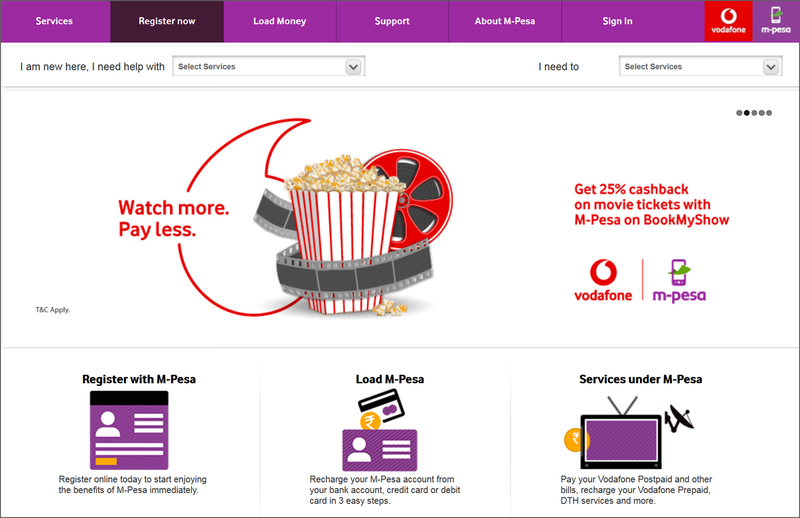 Load the site www.mpesa.in in the browser. Click the ‘Register Now’ menu at the top of the home page. You will be prompted for details like your name & mobile number, mother’s name, Date of Birth along with PIN number(of your choice). Upon submission of these details you will be taken to your session. Go to “Load Money” section and transfer sufficient funds to your M-Pesa account from you credit card / debit card / net banking account. 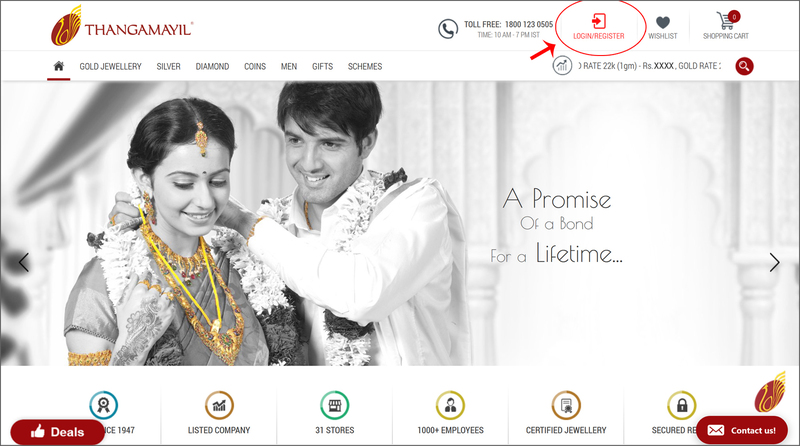 Navigate to Services -> Bill Payment and add (or select for subsequent access) Thangamayil Jewellery as the beneficiary by proceeding to Select beneficiary by dialling *400# from your mobile and following the simple instructions. You can receive this number, for free, either by approaching any of the branches of TMJL or by calling our toll free customer care number “18001230505”. Celebrate each special and memorable occasion in your life by cladding yourself with ornaments from Thangamayil. May Gold continue to proliferate in your life. Best Wishes from Thangamayil ! !